Whittier thrives on homegrown entertainment, commerce and history. Family-owned eateries, vintage boutiques, ethnic restaurants and country clubs abound in this city just 12 miles southeast of Los Angeles. View current listings for real estate in Whittier, or read more about the city of Whittier. 209 Properties Found. Page 1 of 11. Twelve miles southeast of Los Angeles, Whittier offers a world of own, including unique shops and restaurants on its Greenleaf Avenue. Whittier real estate is flanked by Hacienda Heights to the northeast and Pico Rivera to the West. Whittier real estate, seemingly in a world of its own, is bordered by Hacienda Heights on the northeast and the City of Industry on the north. Pico Rivera lies at the west, La Habra Heights to the east, La Habra to the southeast and Santa Fe Springs to the south. There are good choices for real estate in Whittier. Here, a young family can still find an affordable single-family starter home on a nice lot. Large, luxury homes sporting all the bells and whistles are also available in neighborhoods such as the guard gated "Friendly Hills Estates." Low to mid-rise condos and villas are popular for those seeking low maintenance housing choices. The city's first residents were Quakers who named the place after John Greenleaf Whittier, a respected Quaker poet honored with statues and a small exhibit at the Whittier museum, a local park and at city hall. The first Quaker Meeting, "First Friends Church" still stands on Philadelphia Street. Owners of Whittier property take the city's history seriously. Besides its historical museum, it hosts Founders' Day on the third Saturday in May. Talent and exhibits highlight the Native American, Mexican and Quaker residents of years past. In 1987, the Whittier Narrows earthquake caused massive damage to historic buildings. Redevelopment followed as did an effort by the Whittier Conservancy to stop the demolition of many historic buildings. The city also created a Historic Resources Commission to oversee the approval of historic designations. Amble down Whittier's main street, Greenleaf Avenue, and you'll find treasures like the Dattilo Restaurant, with its Renaissance-inspired murals or the Rocky Cola Cafe, a retro diner with a friendly staff. There's also the Little Old Bookshop, which offers a children's literature room, a romance novel section and "Plato's Cave," specializing in philosophy. Not far away is the Whittier Museum, which displays items that tell of the city's unique history. Nearby are two 18-hole golf courses and two with nine holes each. The city's recreation makes Whittier real estate listings worthy reading. Whittier recently opened the Greenway Trail, a bicycle and pedestrian path that allows visitors to hike or bike through town. The city also is home to skateparks, baseball fields and a community center. The Whittier Centre Theatre, a modern, 400-seat theater that offers plays during its annual season. The city of Whittier is served by the Whittier Union High School District, East Whittier City School District, Whittier City School District, Lowell Joint School District and the Fullerton Joint Union High School District. Whittier Union High School District score on the California State Academic Performance Index (API) jumped up 19 points to 747. The increase was the the fourth highest API growth among high school districts in six Southern California counties. 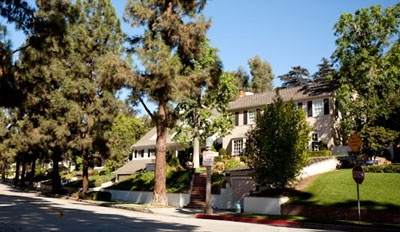 For more information about Whittier Real Estate, please contact our office at 323 412-9060(Los Angeles).